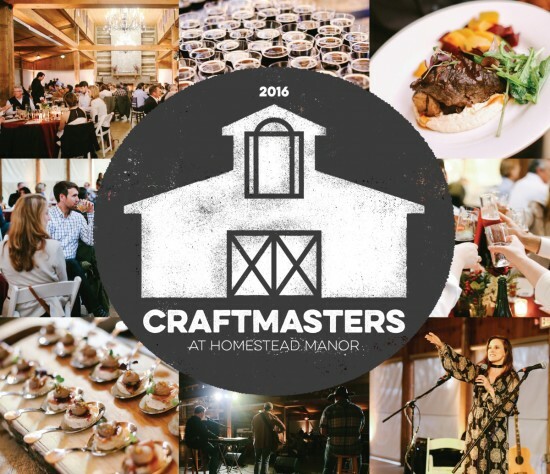 Homestead Manor is proud to partner with Corsair Distillery for the second event in its 2016 Craftmasters Series, benefiting Williamson County CASA. Homestead Manor is proud to partner with Corsair Distillery for the second event in its 2016 Craftmasters Series, benefiting the Williamson County chapter of Court Appointed Special Advocates (CASA) for Children. Proceeds from the July 29 evening event will fund CASA’s service technology initiative, providing much needed resources for the tools to serve ever more children in need. Tickets include a four-course chef’s menu, inspired by and paired with dynamic Corsair whiskey cocktails, as well as complimentary drink tickets, a photo booth and intimate acoustic live entertainment in Homestead’s grand event barn provided by Grammy and ACM nominated artist and Nashville Star winner Buddy Jewell. Tickets are $75 per person and can be purchased at https://www.eventbrite.com/e/craftmasters-series-corsair-distillery-tickets-25649147290.